Mr. Waterstone recently played in a golf tournament in which the sponsor had a chef (with a different dish) at every hole! He reported it was, hands down, the best he'd ever eaten on the golf course. Can you imagine? Anyway, this was his favorite. He went to the sponsor, found the chef, and got the recipe. We made it two nights ago and I must say, it's pretty dang good. 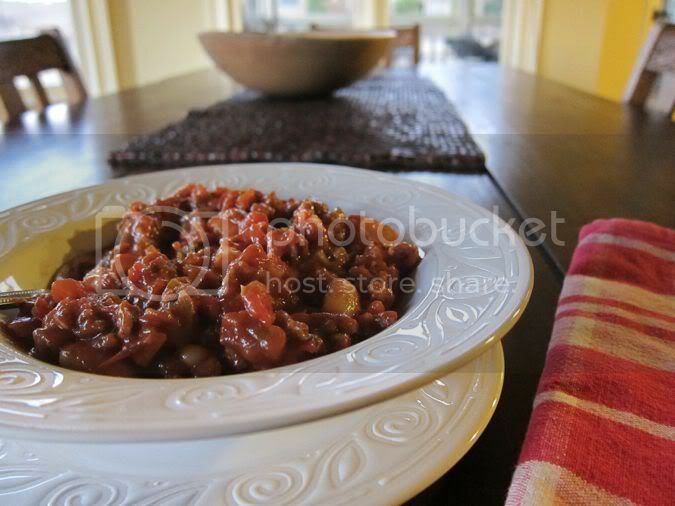 Note: This is a bison chili recipe and because I had 100% grade "A" American hamburger, that's what we used. Also, with the measurements for the hot spices, this chili packs a little heat. So you may want to go a little lighter and adjust as you prefer. 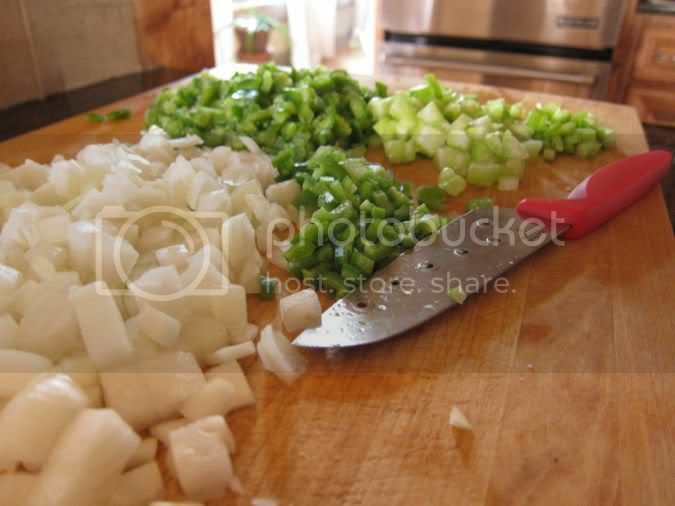 Sauté onions, peppers, celery, and chipotle until translucent. Add the meat and sauté together. Add the chili power, cumin, and cayenne. 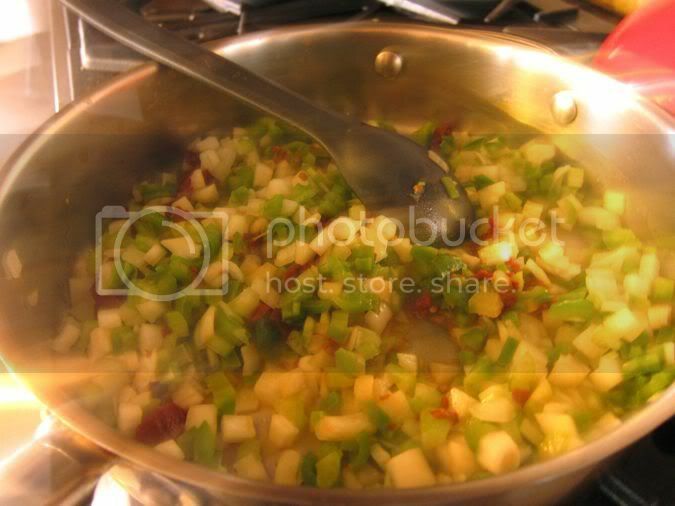 Stir in the diced tomatoes, crushed, tomato puree, and the beans. Let simmer for about 1 hour stirring occasionally. Serve with corn bread muffins and enjoy! Mmmm! I love ANYTHING with chipotle chiles in adobo sauce!! I'll have to try this one. We had sausage and shrimp gumbo. It's the perfect weather for soup and chili. LOVE chili...this looks awesome! I admit I'm extremely bad at following cooking directions but your recipe sounds wonderful. This looks wonderful and so cozy. I'm not a great cook and rarely look at recipes online, but I couldn't resist yours! I just might have to try it! OOOOOHHH I love finding new recipes in my blog travels, this one looks so good, definitely gonna try it! As soon as I saw cumin in the recipe I knew it was a great one! But I've never tried it with the chipotle chilis - I'll have to try it!